MSC Cruises has decided no ships will make calls to Tunisia until at least Spring 2016 due to recent violence within the country. The announcement will affect a few cruise ships including the MSC Preziosa’s upcoming winter season. The 137,936 gross ton ship will replace the call to La Gouletter in the Tunisian capital with Valetta, Malta. The itinerary change will be from 15th November, 2015 until at least 23rd April, 2016. 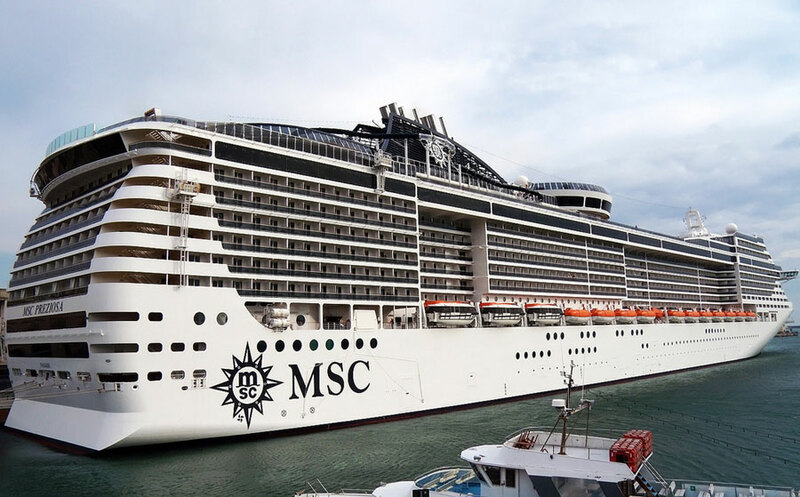 MSC Preziosa’s winter schedule will be modified from 15 November 2015 to 23 April 2016 to reflect the suspension of the calls in the Tunisian capital city. Calls at La Goulette will be replaced by calls at Valletta, Malta. Additionally, this decision will affect itineraries previously scheduled with MSC Magnifica and MSC Poesia during their Grand Voyages from Venice to Santos in Brazil and Buenos Aires in Argentina, respectively, in November and December 2015. Both ships will spend a full day in Alicante, Spain, instead of La Goulette/Tunis. The suspension of all calls in Tunisia for the upcoming winter 2015-16 is connected with the just-announced declaration of a state of emergency by the Tunisian authorities. The MSC Magnifica and MSC Poesia are also affected by cancelled Tunisia calls in November and December 2015. The vessels were only scheduled to call at the port once during special cruises, both ships will now call at Alicante, Spain instead. There has recently been an increase in violence in Tunisia which has been targeted towards tourists. Back in March 2015 MSC Splendida passengers were involved in a tragic attack during a shore excursion. Ever since then cruise lines have been adjusting itineraries to skip Tunisia.